Hopes to have PCIe 5.0 ready early 2019. 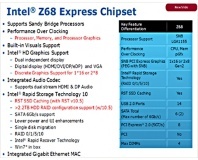 Details of Intel's Z68 Express chipset for Sandy Bridge processors appeared on a leaked slide. Asus has hit the sound card market with all guns blazing, but should the mighty Creative start sweating as another computing behemoth lands the heavyweight Xonar D2 into the PC audio market? HIS has announced a silent PCI-based Radeon X1300. It’s a low profile card with a dual slot passive cooler and it comes with a pair of DVI ports, including one that is dual-link capable. 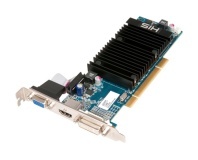 If you haven't upgraded to PCI-E yet, your AGP system is about to get two generations out of date, as a new version of the connection standard is debated.